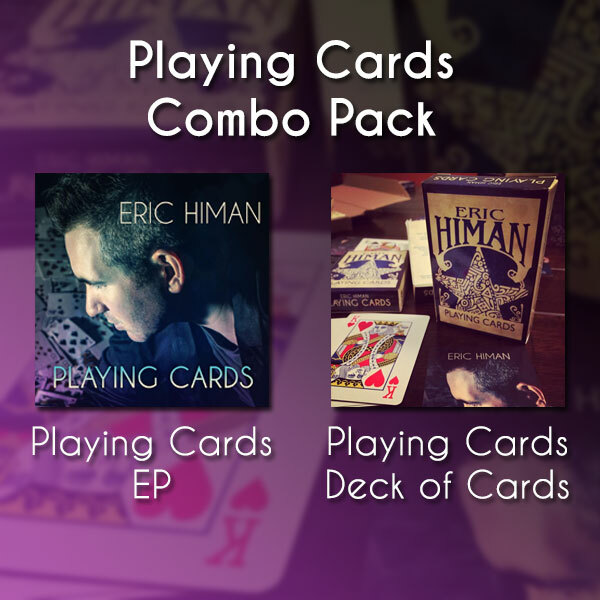 Eric Himan brings you his latest musical offering, PLAYING CARDS. 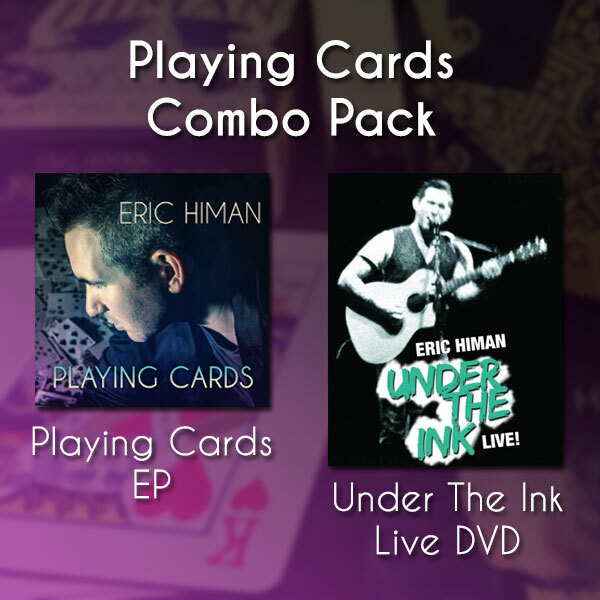 Recorded in Nashville, TN with a slew of the industry’s best musicians, PLAYING CARDS is presented as half full band versions/half acoustic sessions. This new EP was produced by Zac Maloy (of The Nixons) and hit songwriter for artists such as Carrie Underwood, Tim McGraw, Daughtry, etc. Check out the guest vocals on “Flying China” by top 40 artist, Alana Davis, too! Tracks include: “Playing Cards”, “Never Wanna Let You Down”, “Flying China (ft. Alana Davis)”, “Wait Your Turn”, and “Hiding In My Dreams. Don’t just listen to PLAYING CARDS, wear it in style! 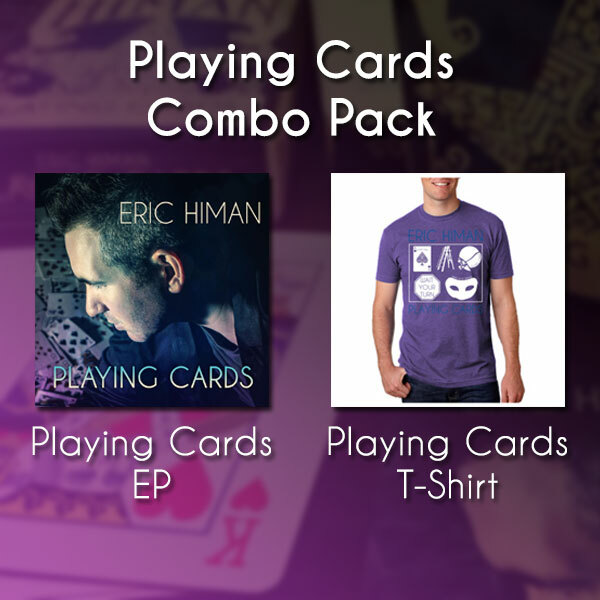 Includes a brand new shirt featuring designs representing each of the 5 songs from Eric’s new EP, PLAYING CARDS.